Car has no resale value. Don't buy it unless you plan on keeping it or taking a big hit on resale / trade in value. Great vehicle for running errands around town. A lot of room for what looks like a small car. I used to own a 2011 Soul + in Shadow Black with grey/black cloth interior. I purchased in 1/2011 and sold it on 2/2016 so I owned it for 5 years. It was probably one of the most fun cars Ive ever driven. Despite having a 4-Speed automatic while everyone else was putting in 6-Speed in the newer models. In the coarse of 5 years Its had LED fog lights, full sound system, lowering springs, 3 sets of tires, plastidip on the factory 16'' and other LED interior lighting. I've used it to drive on the canyons and beat on my buddies with sports cars proving that a box on wheels and keep up with a fr-s or bmw. But like all cars I've driven the poor thing very hard. Tons of scratches and door dings by the time I sold it but I made sure it had the proper service taken care of at the Kia dealer. Switched to 5W-30 synthetic blend at 80K and replaced the timing belt and other belts during that time. Replaced the front rotors and pads ONCE for the front axle and the rears were still on the stock rotors since there was quite of life left in them. I guess that sad thing is that all 103,8xx miles. It has never left the state of California. 100% orange county driven. I eventually sold it carmax for $5k at that mileage and I bought a new car. Overall I recommend this car for anyone learning how to drive or just a basic city car. Its not the fastest but it will get the job done. Affordable, relaible, and no problems. Bluetooth, terrific sound system, traction control. Room enough for my wife and I, our two small children and a double stroller in the trunk. I am 6 feet tall and fit comfortably in the front seat. Everyone is always supprised with the ammount of room inside the vehicle. 2011 Soul driving 55 mph hood released flew back hitting roof, denting roof, denting hood, damaging both fenders. Why hasn't this problem been published? Why didn't the safety latch work? I love my green Alien car! 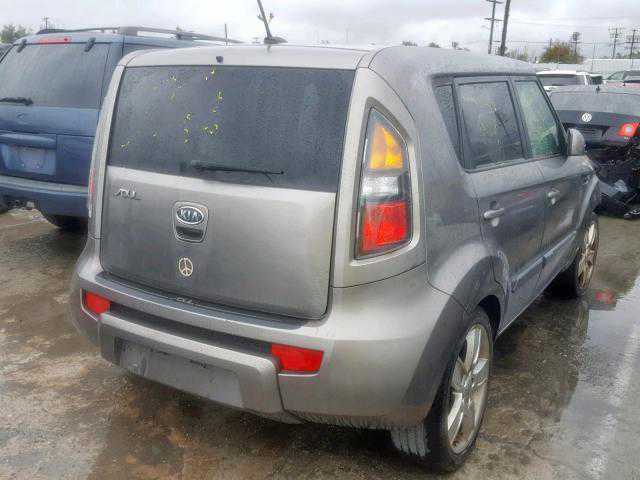 I recently bought a 2011 Kia soul, I really love the color( green) its definitely an eye catcher, so far I have been complimented by friends and family on how cute the car is, I have only had it for about a week so far it has been great and i hope it continues to be! I love the way it drives and the lights on the speaker are so cool! 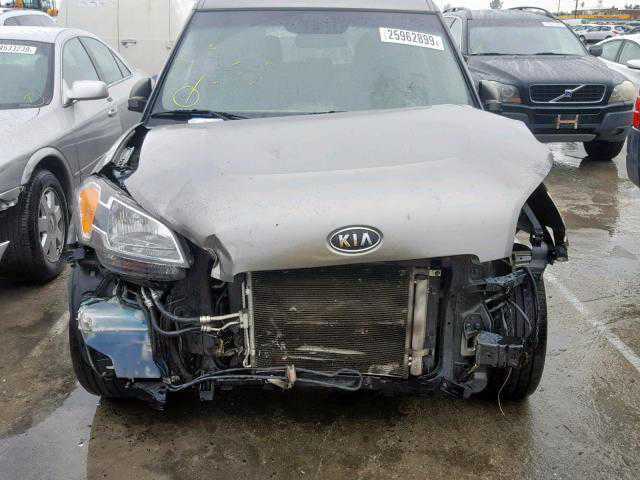 This is my first Kia, kind of bought it on a whim and had some buyer's remorse initially but it has worn off. Miles were very low, and the car still runs and looks new. I drive for UBER on the weekends and live in AZ, so this car has had some wear and tear on it and has done very well so far. My passengers like the car, they say a lot 'it's roomier than it looks' and it is a fairly comfortable ride, even at higher freeway speeds. I do agree the shocks and struts should be a little stronger but most passengers say it's a smooth ride. Ice cold a/c, large console area and glove box to keep my goodies in, pockets behind seats hold water, etc. I had this car for almost 3 years and i loved every minute in it. I was extremely comfortable. The seats fit me perfectly and and a lot of head and leg room. It also had great gas mileage. $40 would fill it up and i could go almost 400 miles before i would fill it again. It did have small problems though. I didn't like the steering that much. It felt stiff and I'm not a fan of stiff steering. Also the accelerator wasn't very smooth. These tine problems aside I never had any other issues with this car. It was a great car for the money. I put a total of 83000 miles on mine and only did regular maintenance on it. I would recommend getting this car to anybody. The BEST bang for the BUCK you can BUY!!! The Soul is spacious and does everything I need it to do. It's been a reliable car for the past two and a half years, giving me little to no issues. Unfortunately, I did buy the 2011 model with the 4 speed transmission which is very evident when I need the pick-me-up but besides that it drives well. I purchased this vehicle new in late 2011 and have been very pleased. I commuted from southern WV to northern IN weekly for 9 months logging 1K miles per week. The car has been great in snow, mountains and all sorts of driving. I have been extremely happy and average about 28.9 miles per gallon for the types of driving that I do. I researched the Soul for quite sometime and was impressed by the low initial cost, the fuel mileage and the safety ratings. The Soul has lived up to all of these ratings and I am extremely happy with the car. I traded this car in May 2015 at which time it had 88K. I was extremely pleased with the Soul but decided to move to a vehicle that had AWD capabilities. Most people believe they have a soul...but I have a SOUL! And I truely love my Soul! 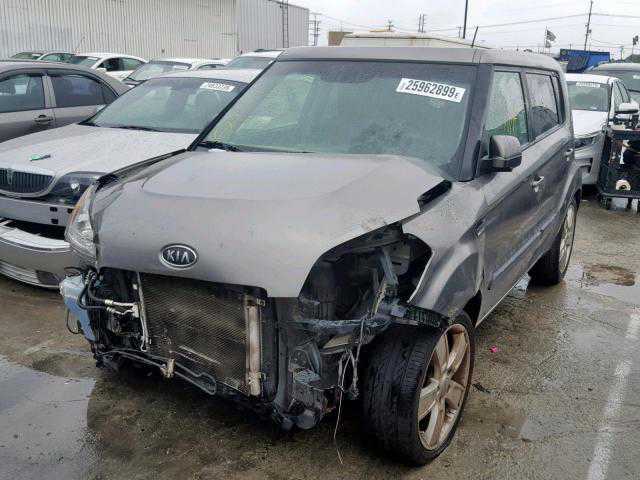 Mine is a 2013 KIA Soul Exclaim..which is the top of th line Soul, loaded up with an unbeliveable (for this price range) amount of standard equipment not often found on this price range. All of this includes terrific quality...solid construction and stand out looks. The 10 year 100,000 mile warranty is just Icing on the cake! And the Soul has more than that going for it. You'll note that love it or hate it...people notice te Soul...and even check it out when they see one. Unlike the usual cars filling the mall parking lot...the Toyota/Honda/Prius/Nissan clones...the Soul actually stands out! And it's fun to drive, handles well, has a KILLER stereo system too. Bought this in Oct. 2011 now with 60,000 miles on it. No problem with reliability, but would not do it again. Seats stain easily interior scratches easily. Not enough space behind the rear seat. You cant even get 2 average suitcases to fit. Only 25 mpg, lost of road noise and engine noise. If you hit a rough road hold on because there is no telling what way you will go. Not good in rainy conditions either. 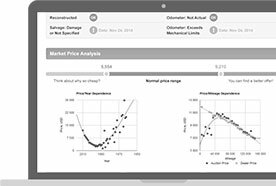 The resale value is not good. Even Kia will not give more then $10,000 on trade in with 60,000 miles. Kia has moved up, but I fill the car is over priced for what you get. Bought for close to $18,000 but got a $14,000 car. For the price there are better quality cars to pick from. 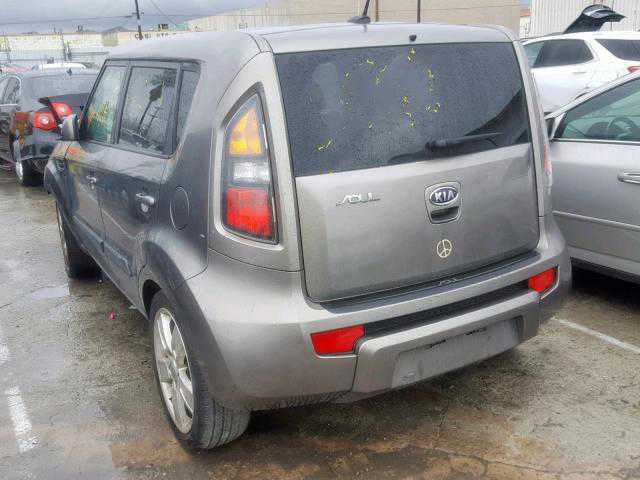 We have had our Kia Soul since Jan 12 and it is a 2012 model. So far we are more than pleased with this car. The fuel economy is good , there is ample leg room, the ride is not bad. Do wish it had an arm rest but this is a small thing. I love the idea of all the air bags it has. It gets lots of attention ! This is the first winter in upstate New York for our Soul. The first cold snap, 30 degrees and lower, I noticed that the rear hatch had quite a bit of distortion, warped sheet metal and all four doors had creases in them. When temps rose the warpage went away. I watched this and other Souls all winter and the results were the same.. The only thing with ours now it takes until temps hit 50 to 60 degree range to go away, in the beginning they went away in the 40's. I went to my local dealer and had the Kia rep look at my car but wouldn't you know it we had freak weather that topped 78 and no wrinkles. All of my pictures and internet info from Kia Soul Forums has been put in a file for me. I've had the + for almost a year now and have around 12,000 miles on it. In the CITY I average 23.5mpg and near 27mpg HWY...it is a small tank and usually only costs around $30 to fill up and it lasts around a week and a half. HOWEVER, the cup holders are the worst design ever. There are bottle holders on each door, but for something with a lid and straw there is only one usable spot. 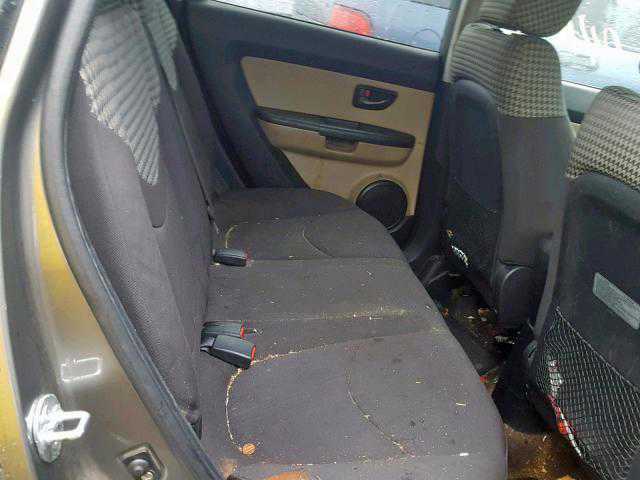 The inside is nice, but scuffs up easily and the seats stain easily. There is a HUGE blind spot when backing out of a parking spot. I would not buy again over some of the new choices out there and would strongly consider spending 3-4k more on a slightly better designed car. I've had my Kia Soul + for almost one year. Being 6 ft tall, there is plenty of head & leg room. The car has great pick up & passing & merging are never a problem. I love how the back seats go down for extra storage. However it hadn't snowed since I got the car & I'm not happy with how it attempts to drive in the snow. The car would not drive up my hill, wound up sideways & had to be backed down the hill. Driving on the flat surface wasn't any better. I was told that the tires may be sport tires & may need to be changed, but I hate to change tires on a new car already. I'm pretty disappointed with this, since I live in an area where it snows in the winter. I love my Kia Soul!!!!!!! I love my Kia Soul. Its sporty and has a lot of pick up. You can really feel it gain momentum as you go up a hill- but thats not a bad thing. It's pretty roomy and the ac/heat works really well. Bluetooth is very easy to use. Very easy to drive except handles poorly over speed bumps. I am only getting 19 mpg, but I only need to fill up 1-2 times a month. I have had my soul for 2 months, and have only filled up twice. 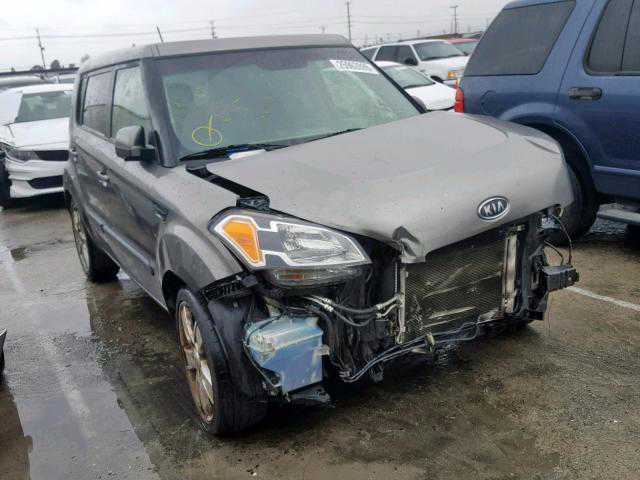 I bought my 11' kia soul plus in a manual trans in june-11' At first it was a nice car, loved it..until driving it everyday it began to annoy me. The door panels were easily scratched, and stained by water which you had to SCRUB to get the marks off..opened the door in the rain and theres now water marks on the seat from RAIN.But my biggest bother is how noisy the car is, road noise and mostly ENGINE noise, it WHINES VERY LOUDLY on the highway or anything over 40mph and makes it difficult to enjoy the drive. Not a zippy car at all, boring to drive. Trading it in for an 11' optima or something a little more worth its value for what ide like, comfort, style, and fun to drive.. I am a big guy who wears 42-waist pants. The driver's seat is about 2" too narrow for all-day comfort. My wife and I have a part-time gig delivering "free pubs" to stores and have lived with this car as a rental replacement for our usual delivery vehicle for a week. Great grocery-getter. Ride, handling, power--all very good at a light load. This would be my short list if I weren't fat,and did not use for deliveries. Under load of 115, 25count, bundles of 90-page magazines, the suspension bottoms and the engine sounds pained. We're glad we didn't need the added load of AC. My performance and fun-to-drive ratings should be 3.5. 5 for unloaded 2 for loaded. I have a 2011 Soul Sport. With all the options but remote start. The car drives and handles great. I drive about an hour to and from work each day. The car has decent pick up so I'm not a nervous Nelly when attempting to pass some traffic. I wish the seat had a bit more functionality. It's taken me a bit more time then typical to find my sweet spot. The seat doesn't go back far enough so, anyone taller than around 5' 11" may have an issue with space. I'm 5' 11" and the seat is all the way back. The Tilt wheel is nice but Telescopic would be best. I love all the features of the car. Over all, I love the car. I traded in my Dodge Magnum R/T. It was a serious change by no regrets. Saves on Gas! Bought my base model Kia Soul in late May, 2011 and have put 8,800 miles on to date. Good value and fun to drive. Lots of room inside. The car is nimble and the brakes excellent. Biggest problem is driving it like a sports car, and forgetting that the vehicles around me can't stop as quickly under yellow lights.Gas mileage averaging 27.5 local, and 29.5 on trips Shape is unusual and draws comments and curiosity. Like the fact I can find it in a parking lot, because it doesn't look like a lot of other cars. ( I am a 68 year old male). This is my third Kia, if I count the 1992 Ford Festiva, which was made by Kia. Can't beat the value for the money. Quality and dependability good. I am very disapointed that the Soul does not have automatic door locks. If I would have known that up front.....I would not have bought the car. The automatic door locks have been on my cars for the last 18 yrs and with children and a four door car I feal that; that is a must have. I also think that the insides scuff up real easy and its hard to come clean. The 2 cup holders in the middle are useless when you can only use one of them. If you put a 2nd drnik in the cup holder it gets caught on the console and spills all over the place. So your passenger has to hold there drink "fountain drink that is" The middle console is very small and sits to far back. I can't use it for an armrest. I bought this car for my return to college. Peppy off the line, GREAT on gas (280 miles on first tank), suprisingly roomy for passengers, chock full of features for the price. I've read it noisey at high speeds, NOT TRUE. Very comfortable simply FUN to drive. Definitely get the windows tinted. 95% of the negative comments about this car I did not experience. My previous car was employer provided and much more expensive. The Soul matches and beats it in most areas with the exception of power. The Soul is a 4-banger but gets up to speed when needed. If you are a racer, this car isnt for you. Otherwise this car is absolutely WONDERFUL. All the "Soul" jokes aside, this is an awesome car. I've had mine about a month and a half and have put over 7,000 miles on it including 1 trip from Tulsa to Corpus Christi and 2 trips from Tulsa to Waco. The Soul is lots of fun and handles very well. Running the AC at full blast contstantly all summer (it has been well over 100deg) I am getting about 26mpg average. My 2 sons love the roomy back and I have found that there is really a lot of room. We did install an aftermarket roof rack for extra cargo space too. This car is perfect for lugging the kids around town with all their sports gear. The front seat comfort wasn't quite as good as my Jetta GLX, but this is still very nice. My daughter purchased this this vehicle 3 weeks ago -- base with 1.6L and 5spd. I have driven it about 500 of the 2500 miles so far. On a trip from Michigan to Pennsylvania, we achieved 36.2 mpg over 600 miles. AC was on part of the time and there were two persons and back was loaded with cargo. I drove the posted speed of 70 most of the way and 65 in PA. Interior dash and controls are very nicely designed. I much prefer it to my 2008 Scion xB. Vehicle is very spacious, handles well, and is very practical. Driving position is ideal for shorter person, but room for large driver as well. Extensive safety features for a car in this price range. Purchase was painless at dealer. I just bought this car on 7/24/11, and I love it! I just want to drive it all day long. It's so much fun! My meter keeps saying that I'm only getting 17.9 MPG, but I'm still good on gas, and I've been driving mostly in traffic so far. I love this car one of my friends got this car like 8 months ago I loved it so much that i bought one. It runs great it looks even better which is really important to me because i just turned 16 and this is my first car so looks were just as important as safty and gas milage. Bought my Soul + July 16, 2011 and two weeks later took it on 12 day vacation. Drove to Florida and back. NOT one problem. Soul handled the highway very well, handling, acceleration, steering. We got just under 30 mpg most of the time but our average speed was closer to 70 than 55 & the AC was almost always on. The interior space was great, The Soul swallowed our suitcases. Things did start to get tight at the end of the trip. The girlfriend loves to buy souvenirs. I am still trilled by the bells & whistles, the bluetooth, USB port & radio work perfectly together. The girlfriend is much less of a Honda fan now. I have been doing research on the Kia Soul for the past few months. I decided last week to stop at the local KIA dealership and test drive one. Once I test drove one I was hooked! I bought it! I must say this is a GREAT car! The features that come with this car are amazing! Cannot wait to take it one my trip next month. BTW I am averaging 28.5 MPG in the city and 35 MPG on the highway. I always pay attention the the ECO light on the dash to make sure I am maximizing my fuel. 2011 Kia Soul "hamstar" special edition..
KIA Soul the real MPG usage is 21 MPG I just bought the car and drove with it 1,500 miles. I drive 50% in highway and 50% in the city. The current average of mile per gallons is 21. Yes, the average is 21mpg !!! so it is not efficient as it says ....I did not make any mistake I am finance person who deeply want to understand his spending !!! I bought a Kia Soul + to replace my Jeep Wrangler gas hawg. I didn't want to part with my Jeep, I loved it. I'm glad I did. The Soul has so many standard features for thousands less than the competition. It has more power that other little puddle jumpers I tried. It's not a race car, but enough to pass 2 pokey cars at once. I'm 6', 230#, it is super easy to get in and out of and plenty of head & leg room both front and back. Had to convert my .m4p files to .mp3 files to play in the usb port, but it works flawlessly. A friend has a Chevy Malibu with a usb port that doesn't work. Gas MPG is between 28 - 31 mixed driving. I added the euro-style racing stripe a few days later, LOVE IT! I've only had the Soul for a couple of weeks but already love this vehicle. It is much more than I expected in performance, comfort and fun-factor. The minute I see it, a smile creeps across my face and I'm in a better mood. I picked one up five weeks ago for $16.1K out-the-door after dealer discount and $1K loyalty rebate and got the 36-month 0.9% financing. I drive 31 miles each way for commute and have driven 1200 miles so far. I am averaging 28mpg on 30% city and 70% freeway (in traffic half the time) driving. Because of the high RPM rate, the freeway fuel economy is not great on this car. To achieve 30+mpg, you must cruise at speeds below 70mph. Also, the onboard fuel economy computer displays 1 more mpg than the actual manual calculation. Overall I'm really satisfied with the car. After about 500 miles of break-in, the car seems to run more smoothly and a little faster. Give it a try and you'll like it. Pros: Styling (it grows on you). Price. 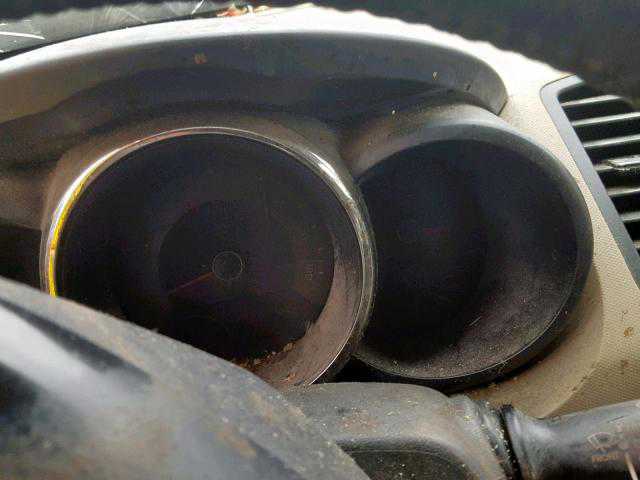 That really good Kia 4 cylinder engine. Very maneuverable. Its probably pretty durable. Cons: Handling is not a Kia strong point--tippy feeling on the highway, Not much of a ride. Hard seats. Bit of a blind spot. Hard to believe this is best in its class--You buy this car on price and value. 28 mpg on highway at 75-80 mph. I've wanted a Soul since they came out last year, but wanted to wait until they had the 1st year quirks ironed out. Once I drove one, I was convinced. First impression: It's tight, build quality seems excellent, no rattles, very solid sounding when you open/close doors and hatch. Brakes are soft-touch sensitive, steering is responsive, best of all I got 27 M.P.G. in the city on my first tank of gas (sticker says 24/30), but I must admit I drive pretty conservatively. 2.0 seems pretty peppy, gets up to hwy. speeds quickly and cruises comfortably. I researched and looked at a lot of other cars in this class and found they were either too pricy, got bad reviews, or were just too tiny. Soul + - unbelievable bargain ! This is exactly what I was looking for. I got tired of sitting on the floor in little cars but didn't want to drop a fortune on an SUV. I get decent gas mileage (see suggested improvements). The engine is surprising zippy for what it is especially having a four speed. The interior is quite comfy, the seats are firm which I like. The only small issue I have had is the drivers side door plastic has begun to rattle but I'm going to get that fixed next oil change under warranty. Compared to my old vehicle (2006 Chevy Cobalt) its so much better as far as quality goes. I use to look at the uneven door gaps on the Cobalt and just grimace. Huge negative is the paint. Poor durability... Rock Chips! My wife & I traded our 2004 Dodge Caravan SE on a base model Soul. We bought the Caravan used in 2009 when we discovered the day before our twin sons were born that a rear facing car seat did not fit behind the driver's seat of our 2006 Matrix and still allow me enough room to drive. Last year we purchased a new 2009 Kia Sedona on clearance for a great price as our primary family vehicle. Because of our great experience with the Sedona, we decided to look at the Soul for an around town run about, primarily for my wife. We went with the base 1.6/5-Speed to maximize economy and value. With the owner loyalty rebate we paid less than $13,000, this little car is a fantastic value & fun! So i recently bought the 2011 Kia soul a week ago. All I have to say it is absolutly amazing! The avg mpg stats 24 as a base around town, well i get nothing under 29.5 mpg around town, and 39.9 highway! With the way these gas prices are, that is very helpful to say the least! It rides very nice, and is very very roomy, I absolutly love this car. If you are looking for a well built, stylish car, look no further, you have found it with the soul, and so have I! One month and a thousand miles now, and I couldn't be more pleased. The Soul has exceed my expectations....a high level of refinement, quiet engine, smooth clutch and shifter, good stereo, and very comfortable seats. It's a delight to drive, the little 1.6 litre mill is quite happy at low RPMs resulting in AMAZING mileage that way exceeds the EPA rating. I've filled up four times so far, about 80% around town driving, and averaged right at 35 MPG! 31 was the low fillup, 37.1 the best. A really sensible car for tooling around town. Let me keep it simple! I bought my 2011 Kia Soul about a week ago and so far I am super impressed, though the ride is a little noisey and stiff I can not complain about anything else. I previously owned a 2000 Kia Sportage and after 11 years it was still going strong. This car for the price is an absolute dream I love it and I am very happy!! After putting 110,000 miles on a 2006 Kia Rio, I decided last November to take a look at a new 2011 Kia Soul. I was looking for something with more cargo room and easier to get in and out of. I was also hoping for at least similar gas mileage as the Rio. The Soul fit the bill perfectly. I also like the greater ground clearance and better visibility afforded by the extra overall height. It does ride more truck-like than the Rio, but that is fine with me: I feel I'm in more control and in tune with the road. With a mix of highway and in-town driving, I'm getting on average 32 to 35 mpg with the Soul, which was unexpected. A great car for the price, with all the standard perks. I have had my Soul for a week and so far I like it. It handles well, Takes wind pretty good, taking a little adjusting since I had a Kia Rio5 before. Its taller then my last car. but has more space for the kids. though it wasn't my first choose. we looked at everything else on the lot. had a hard time getting past how ugly it was. looked at the books for the soul in the dealer ship. dicided it didn't look so bad when it wasn't Green. So we test drove one and now its sitting in my drive way still a little ugly but not so bad since its the Java color. A new way to roll; and yes, it's no mini, but that's GOOD. My previous car was a mini. Everything about this car is better as far as I am concerned with few exceptions. It's not fast, but, it's still a lot of fun to drive and it's plenty fast enough. It is easier to get in and out of than the mini, it holds 4 big adults comfortably, everything works well, The base stereoe sounds way better than the mini's. Gas is a trade off, mine got a little better mileage but the soul burns regular. It shifts just fine with the manual trans; I have no idea what all the fuss about vague shifting is about ... I never miss a gear, the clutch is light and easy, shifting is effortless. A great car, looks good, engine even sounds better than the mini. First off, let me admit my bias as I am a three-time MINI owner (Cooper, Convertible, and Clubman) and sort of bought the Soul out of a desperate situation, and not because I was in love with it. The Soul is a competent (at best) smaller car, and is probably worth the price IF you get to haggle a bit and don't finance the whole thing. I was surprised to find out my insurance AND fuel costs are significantly higher with the Soul even though it's a cheaper car. It's fine for buzzing around town, and gave me the little bit of extra space I needed for an infant car seat and dog(s). The handling is not aimed at performance or fun. While uncomfortable, the seating height is good. I purposefully ordered a 2010 plus model with a myriad of options because the criticism of the exclaim model for highway noise and rattly ride (due to the larger diameter rims) was proved out in my test drives. I Love this car! I smile every time I see it parked or in my driveway (and not because of the hamster commercials). Although I view it as my mid-life, commuter, anti-sports car, it handles surprisingly well and has plenty of zip when merging onto some of our (Philadelphia area) white-knuckle highways. Interior has plenty of room for a teen, a tween, and a hockey bag !lenty of room for a teen and a tween and a hockey bag. I didnt go shopping for a Kia Soul , I had bought a used VW and after that broke down twice , I took it back to the Kia dealer and asked for my money back , they said look around the lot and see if I like any thing else , I drove the Soul and could'nt belive the ride , build . I made a deal and bought it . I get 26 mpgs around town and 31 on the highway .The radio is great . Over all the car is very well built , easy to park and fun to drive . Traded in my beloved 2004 BMW X3 because she was very expensive to maintain and had a drinking problem. I decided to go greener and after much research I chose the Kia Soul,surprising family and friends. So far I am very impressed with just about every aspect of this little 4 banger. Interior passenger space, A/C and interior aesthetics are actually superior to the X3. The Soul feels firm and well built, its got a sprightly tossable fun to drive feel. While it doesn't have near the pure power of the Bimmer it DOES have plenty of pep. Fine on the highway too. This is a great car for someone who wants a compact but doesn't want to be crammed into some small, rickety piece of junk. The Soul is incredibly roomy inside and with the rear seats folded down it has cargo room comparable to any wagon... I've always been hesitant with Kia but they seem to have hit the mark with this one. 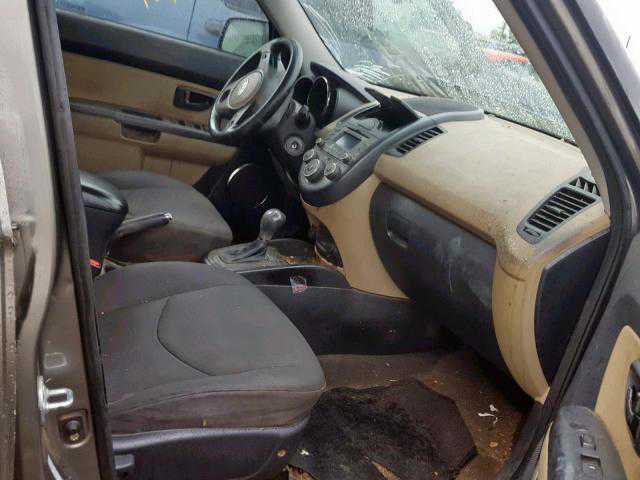 For $16,000, this car seems to be put together well and has features like ABS, traction control, Bluetooth, and 4-wheel disc brakes that are missing in other cars. I would prefer the manual transmission model; the automatic is an outdated 4-speed and it feels like it was definitely tuned for economy rather than sporty driving but what can one expect for under $16k? I have a M/T+ with the audio upgrade. I like the roomy, SUV-like seating, while still getting good MPG and a low price tag. The interior is nice, though some plastics are easily scratched (but not as bad as 2010 Soul). The engine and transmission are older technology making driving performance just OK (i think this is how they kept the price so low). However, steering feel and braking are nice. I get exactly the EPA rating of 26-28mpg in mixed driving. I got a little over 31mpg on a purely highway trip. The feel of the manual shifter is not too good, but this can be easily upgraded aftermarket. My biggest complaint is 5th gear is not tall enough making RPM noticeably high above 70 mph. I've had a 2011 Soul+ 5sp for a couple months and a few thousand miles now. It is a good value overall. 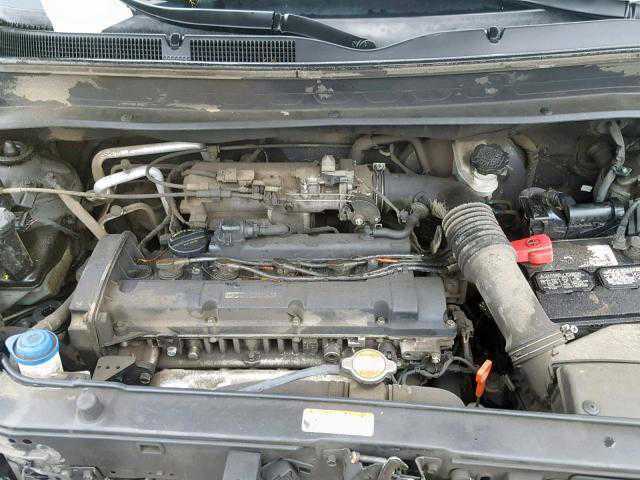 Mechanically, it is a basic 4 cylinder economy car. The body design, roomy SUV-like seating position, and a generous feature list are what make the car attractive. 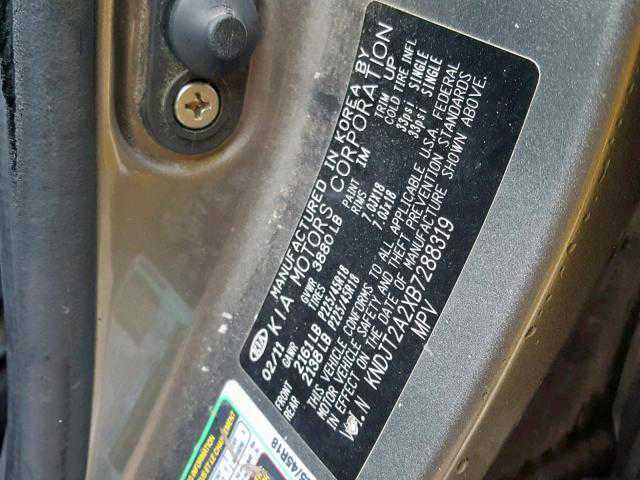 Two consistent complaints with the 2010 model - rough ride/poor suspension and door panels that scratch up easily - have been addressed with the 2011 model. One shortcoming that remains is the final gear isn't tall enough so that you have high RPM at highway speeds (3,000 rpm @ 70 mph). MPG is good. I consistently get 26-28 mpg in mixed driving and got over 31 mpg on a purely highway trip. My wife and I went looking to buy a new car and sticker shock sent us over to the Kia dealer. The nicest car buying experience we've ever had. No pressure, lots of help and informative folks there. The Soul looks cool, has lots of style and features. ABS, rear disc brakes, wheels & low profile tires, tinted windows, low tire pressure warning, great radio/lights and gadgets, good cargo area, super warranty and is a lot of fun. Our adult kids like it and approve. We are now connected with bluetooth, Sattelite Radio and looking forward to getting an Ipod connected soon. 50+ and Cruzin again! Researched a lot of cars on the web before I selected my 2011 Kia Soul+. I like to find cars that I want to drive, but also feature a factory subsidized lease. Kia was offering $169/mo for 36 months with $1,999 drive off. Was able to dicker for $189/mo and only $600 drive off, a savings of almost $680 over the term of the lease. Interest rate is 1.454% with a 59% residual. Love the car and all of the included features. It is really fun to drive and gets very good gas mileage too! I was able to exchange the stock tires, which were OK, for an excellent set of 215/55x16 General Altimax HP tires for $250 out the door. This is a much better rated set of tires. Love the small turn radius too!